How Amazon’s logistics backbone, Whole Foods, PillPack, and Echo are primed to tackle the prescription drug market. On the back of record Q2 2018 profits separate from its core retail business, Amazon can afford to undercut its competition’s prices to expand its moat while simultaneously putting capital to work in new verticals. The company’s acquisition of PillPack isn’t its first major investment into pharmacy, and unlikely to be its last. A front door to health care even closer to home than retail clinics: Amazon owns 62% of the smart speaker market, nearly 34 million devices across the United States. Market density and leverage unmatched by any health insurer, including the federal government: 310M active customers on amazon.com, 100M Prime members (51% of U.S. households). Distribution nodes suited for drug storage and delivery: 34% of U.S. households live within 5 miles of a Whole Foods store. A seamless online pharmacy with home medication delivery funneling into a robust e-commerce offering: I previously used this to describe Walmart’s potential acquisition of PillPack, but Amazon beat them to the punch. We seek to be Earth’s most customer-centric company. Does Amazon have the pieces to make this work? Will the mass market embrace at-home delivery of prescription drugs? Is their customer base large enough to compete, or at least play friendly, with hesitant PBMs? I dove into Amazon’s history in pharmacy, recent acquisitions, and the avenues for growing their market and customer value through their non-core business units. First, some history. In 1999, Amazon bought a 46% stake in Drugstore.com, which, after never recording an annual profit, sold its mail-order pharmacy business for $5M in 2010 and was shut down in 2016. Despite Amazon’s efforts to market Drugstore.com products on its own website, challenges from incumbents (notably PBMs), regulations, and logistical hurdles sunk the venture. Drugstore.com’s pricing power and convenience, however, did have an advantage in cash-pay pharmaceuticals, such as Viagra and Propecia, which usually aren’t covered by insurance. In other words, when patients — rather than insurers — were making purchasing decisions, Drugstore.com had an edge. 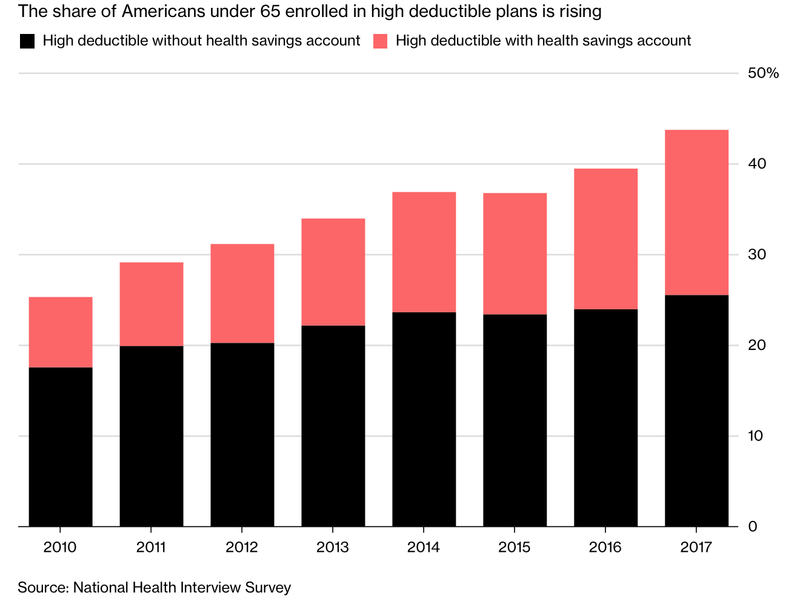 The parallel in today’s health care market are patients who are either uninsured or the rising number of Americans on high-deductible health plans, which usually don’t offer first-dollar coverage for medications. As a result, pharmacies hold significant leverage, and will often charge sky-high prices to these groups. Cash-pay alone makes up 8% of the U.S. drug market, or 400M 30-day-equivalent prescriptions. After struggling to get past regulators, the company’s near $1B acquisition of PillPack is a signal that it’s willing to spend significant capital to obtain strategic relationships with both suppliers and pharmacy benefits managers along with statewide pharmacy licenses to sell prescription drugs. Amazon has been selling over-the-counter medicine and other personal health care products for the past year, a notable characteristic being that these products are 1) made by many manufacturers that primarily compete on price (functionally commodities) and 2) not usually covered by insurance. This positions the generic drugs market, which currently make up one-third of global pharmaceutical sales and are growing at 3x the rate of branded drugs, an entrypoint into the industry that is conducive to Amazon’s proven marketplace model. With news that GoodRx is looking for a buyer, Amazon’s pharmacy strategy could mirror their Echo and retail strategy. First, control the supply (Amazon Basics : PillPack), then use ease-of-purchasing (Echo : GoodRx) to selectively funnel privately-labeled Amazon products or bundled goods to consumers. Yet, many of the same logistical, regulatory, and competitive challenges that sunk Drugstore.com and hampered prior Amazon efforts in pharmacy remain, which brings us to the role of Whole Foods. The logistical challenges for drugs (cold storage, perishability, degradation during transit, limited SKUs) parallel many of the same issues that kept Amazon out of the grocery business until its Whole Foods acquisition, and why AmazonFresh has burned cash for a decade without much success. Amazon needs immediate scale in its pharmacy business to avoid wasting stock of perishable drugs. Additionally, the relatively limited number of outpatient drugs doesn’t give Amazon the same selection advantage it has in CPG over brick-and-mortar retailers. But thinking about pharmaceutical storage and distribution in the context of traditional fulfillment centers misses the mark. This is where Amazon’s 13.7B acquisition of Whole Foods becomes important. Whereas fullfillment centers represent high fixed costs that benefit from economies of scale as Amazon reaches more customers and third-party merchants, the Whole Foods acquisition represents a large capital expenditure in an existing, decentralized network of “storage” units with the physical infrastructure (basic/cold storage) and proximity to major population centers to support the supply and distribution of pharmaceuticals. 34% of U.S. households live within 5 miles of a Whole Foods store. 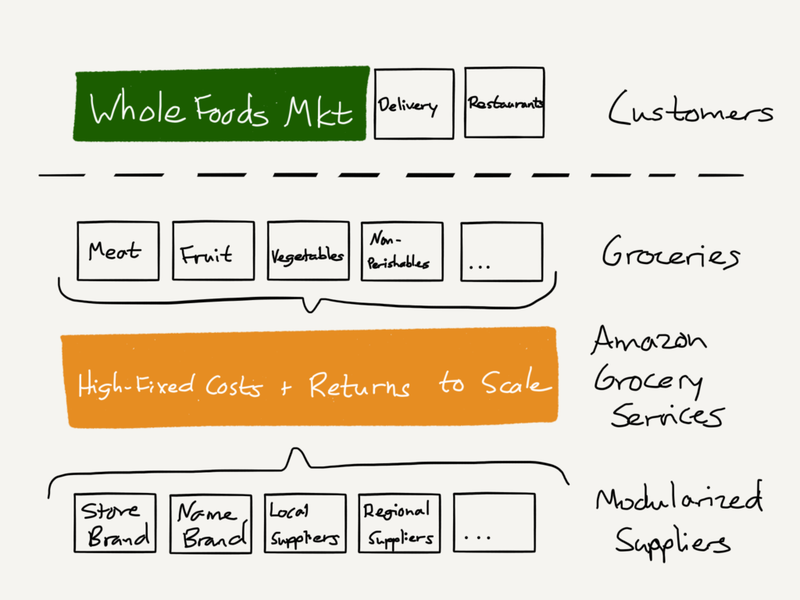 Considering the framework that Ben Thompson has used to describe Amazon’s Whole Foods acquisition, drugs are simply another “primitive” in the ‘Amazon Grocery Services’ architecture, akin to meat, fruits, and vegetables. Amazon’s partnership with Xealth, which connects patients to health care software and products, signals their awareness that “pharma of the future” will go beyond pills — including digital therapeutics that influence neuroplasticity and behavioral health, biosensors as early warning systems for the exacerbation of medical conditions, and specialized diets to combat chronic disease. 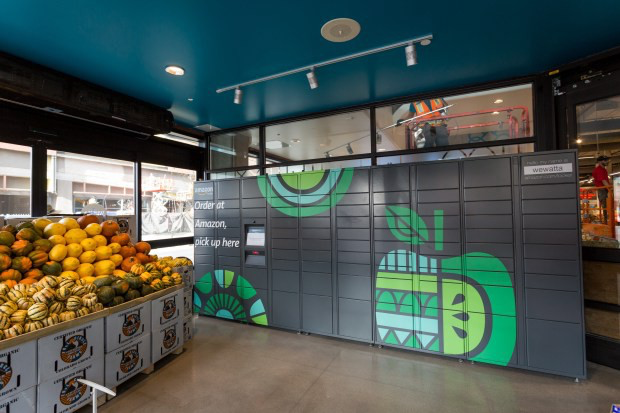 Whole Foods improves Amazon’s last mile delivery challenge, and piggybacks off a service and brand synonymous with health. There’s an approximately 50% overlap between existing Whole Foods stores and Prime Now (2-hour delivery) zip codes. Amazon can use existing, often recurring, deliveries of prescription drugs via Prime Now as a springboard to up-sell customers on Whole Foods products (i.e. produce, meals), delivered alongside their prescriptions — increasing each customer’s lifetime value. There’s growing evidence that condition-specific meal plans can be as effective, if not moreso, than a specialty drug and reduce long-term health care spending. Amazon’s logistics backbone could deliver medically-necessary Whole Foods meals to consumers, akin to their AmazonFresh program, as a supplement to the medications that they know their consumers are buying to treat conditions such as Type II diabetes or congestive heart failure. However, if you continue to think about Whole Foods as simply another customer for ‘Amazon Grocery Services’, pre-packaged meal kits (already available at Amazon Go) tailored to specific conditions could also be sold to other large ACV customers— notably health systems and local governments embracing the ‘food as medicine’ philosophy, increasing Amazon’s addressable market in the space. The Geisinger Health System in Pennsylvania piloted a program to ‘prescribe food as a specialty drug’ for patients with Type 2 diabetes. Costs for those patients dropped by a staggering average of 80%, from $240,000 per member per year to $48,000 per member per year. In nearby Philadelphia, the Metropolitan Area Neighborhood Nutrition Alliance has been delivering free meals to low-income patients with serious illnesses for nearly thirty years, showing annual reductions in health care spending of 55% of patients who receive meals compared to those that don’t. Fundamentally, the types of foods that patients ate had a significant and clinically observable impact on their health outcomes. Rising costs for Medi-Cal, the state’s Medicaid system that covers over a third of its population, and a high burden of chronic disease and food insecurity among Californians made Geisinger’s pilot the perfect experiment to bring out west. The California pilot program, which officially launched this month with support from state senator Ben Allen along with California assembly members Blanca Rubio and Richard Bloom, provides $6 million in funding over three years to six nonprofit organizations to offer diet guidance and deliver free meals to Medi-Cal patients that need special diets to manage certain medical conditions. The ‘Food is Medicine’ pilot program will deliver meticulously formulated meals to 1,000 people with congestive heart failure over a 12-week span. Additionally, as of early 2018, Medicare Advantage plans can receive federal reimbursement for groceries and home-delivered meals for covered patients. This functionally hands Amazon the federal government as an indirect customer for a patient population that is expected to nearly double by 2025. Although companies like Express Scripts made their name in mail order pharmacy, the mail order market itself has been shrinking as pharmacies began to vertically integrate with other elements of the health care system. Retail pharmacies in particular have been cutting in-store prices to move customers into their physical retail stores, where they also stock and sell those same customers personal health care products, groceries, convenience goods, and home supplies. This is where Amazon has a convenience advantage. Why ask customers to go to a physical location to increase basket size when you own the world’s best online marketplace? That being said, when it comes to shifting the demand curve, Amazon has taken a different approach than its retail pharmacy competitors. 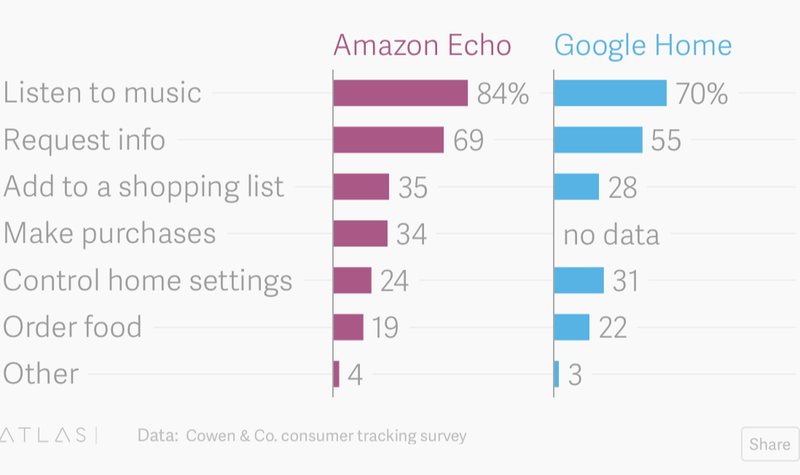 Often times, buying the same item via an Echo is cheaper than searching for the same item on amazon.com. For traditional CPG purchases (e.g. batteries, hangers, electrical cables) Amazon will automatically purchase and deliver its own AmazonBasics labelled products via Echo, which improves their margins. How frequently this service is used, however, is uncertain. According to The Information, only 2% of customers with Alexa-enabled devices have made purchases via Alexa in 2018, and 90% of those that did make a purchase over voice didn’t try it again. Other surveys (below) have claimed that up to 34% of customers with Alexa-enabled devices have made a voice purchase. People were more likely to buy commodity items that didn’t merit additional research and reading reviews. Amazon is betting that offering low prices via voice vs. online shopping will increase that percentage. However, a more interesting case in the context of pharmacy is repeat purchases, that is, prescription refills and subscription models for personal health products. Look at the way many Echo users have set up their Alexa reminders to date — primed to both help users complete their medication regimen and internally track when they need support or a refill, automatically fulfilled by Amazon’s logistics backbone. In fact, Americans are in the pharmacy a lot, filling an average of 12.6 prescriptions per year, making refill fulfillment and adherence a sustainable, and growing, market. PharmacyOS is allowing us to continuously improve our back-end operations, which are invisible to customers, but result in an increasingly simple and frictionless service. We’re executing on the promise we make as a company — which we’ll do everything we can to make it as easy as possible for people to take their medications as prescribed. Today, we’re working on making the ecosystem as useful as possible. While a customer might only go to their doctor once every few months, they interact with medications every day. We want to make the most of that daily opportunity to support our customers and helping them take control of their health. In the future that will likely include new digital services, offline programs, and additional tools for caregivers. 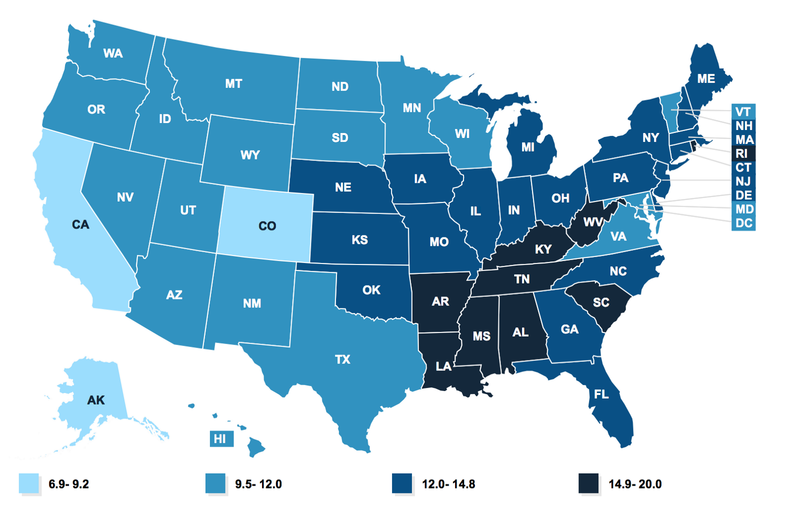 With 34 million Echo devices already distributed nationally, and options like the $50 Echo Dot inexpensive enough to make its way into most American homes, Alexa, bolstered by PharmacyOS, could quickly and reasonably become a staple for home health guidance by increasing both the frequency of touchpoints and the size of the network. Similar to the Whole Foods scenario, an online drug marketplace, augmented by voice when available, will also help increase the LTV of both PillPack and Amazon customers by recommending and bundling complementary health care goods, e.g. insulin with a blood glucose monitor, test strips, lancets, and diabetes-friendly shoes. The monopolistic elephants in the room, Pharmacy Benefits Managers see Amazon as an obvious threat; their primary interest is in protecting their market share, part of which comes from the mail order pharmacy units (e.g. Express Scripts) that are clearly Amazon’s first target in the prescription drug market. 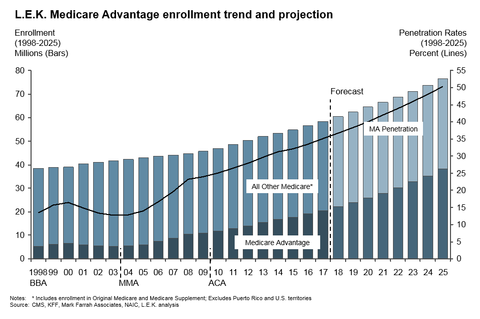 Convince an increasingly smaller number of PBMs, i.e. Express Scripts, OptumRx, CVS Caremark, that have consolidated 80% of the market to partner with them. Build their own vertically-integrated PBM/Pharmacy that gives them complete control over the supply chain, distribution, and customer experience. While these large PBMs have previously worked with PillPack, its acquisition and Amazon’s cash on hand will likely leave them hesitant to continue the relationship. 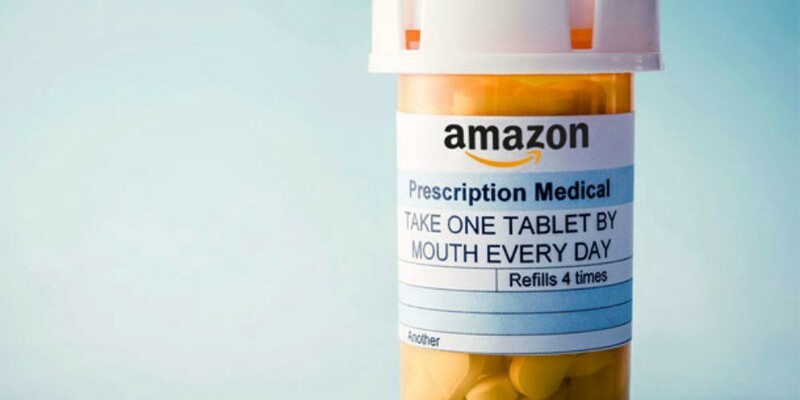 Option #2, on the other hand, would be time consuming, throw Amazon into a whole mess of regulatory compliance, probably require acquiring an existing PBM to build on top of, and then somehow compete with nearly monopolistic PBMs that currently process nearly 6 billion 30-day-equivalent prescriptions each year. However, if successful, this strategy gives Amazon complete control over the customer relationship that parallels the way they’ve achieved success in their core marketplace business. Amazon’s business strategy, growing profits, and capital efficiency make it likely that, while they may try to play nice with PBMs in the near-term, I wouldn’t count them out on leveraging their loyal customer base to take on the PBM giants within the next five years. The bigger question is, will their competition do anything about it? If you found any of this helpful or interesting (or disagree completely), please share and/or reach out to me on twitter @nxpatel. I’d love to hear your thoughts. Cofounder @memorahealth. Alum @harvardmed, @ycombinator.